We come to you with heavy hearts for our sister in Christ, Jen Eccleston. We have known Jen for many years through our church. She is a wife to Matt and mother to three beautiful children. Recently, Jen went to the ER for what she believed was a kidney stone. The CT not only confirmed the kidney stone, but also found a 13.5 cm mass in her liver, and two soft tissue masses. The natural doctor Jen has been working with the last year has specifically been working on her circulating cancer cells (a/k/a CTCs). All of this work has not been in vain as her cell count is now down to 2. Upon follow up, a PET scan has revealed that the cancer has spread. The natural doc has a connection with a specialist in CA, Dr. Ahvie. Dr. Ahvie is an M.D. and graduated from Johns Hopkins. He takes very difficult cancer cases and offers targeted approaches with chemotherapy, as well as another therapy that acts as a cancer vaccine of sorts. (They still have more information to obtain.) The targeted therapy would be based on the RGCC testing that Jen did with her natural doc that outlined the exact chemo that gave her the highest death rate of cancer cells. Dr. Ahvie has been consulting with Jen’s natural doc and believes she would be a candidate for his therapy. He indicated how happy he is for the work that has been done to lower the CTC count, as it’s important to his therapy as well. This is where you come in. 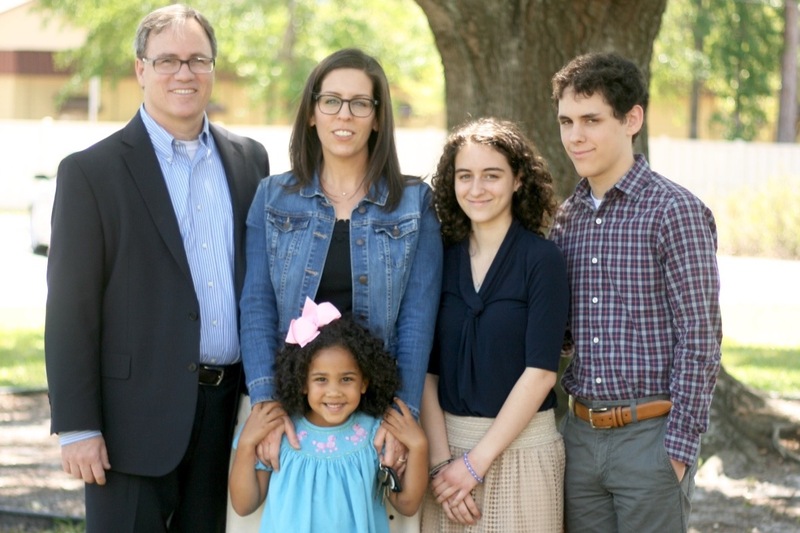 Jen and her family need prayer warriors to rally behind her. The specialized treatment from Dr. Ahvie in CA is not covered by Jen’s medical sharing company, so she also needs monetary funds to cover testing, traveling, procedures, etc. Upon her return from the initial treatment, Jen will need to keep up Dr. Ahvie’s protocol at home, which will involve costs as well. Please join kingdom forces with us to pray specifically for Jen and her family. And please consider giving a monetary gift for these mounting medical costs. God bless you, and please continue to follow Jen’s journey here as we give updates. We would be so grateful to have you share this on social media or email. Please pray that I would have spiritual and physical strength, not fear the future, and trust in my Sovereign God completely. May He be glorified. Please pray for my dear husband, Matt, as he works tirelessly to provide working his full time job and extra side jobs to pay for medical expenses. Matt also faithfully serves the kids and me at home as I have not been operating at full speed. Pray for my children to trust in Christ and draw near to Him. They also serve our family so sweetly. Pray for their strength and for God to bless them. Of course, please pray for total healing and for us to have wisdom as we navigate the path the Lord has for us to walk. Please pray for God to provide for my medical expenses. Please pray for doctors to have wisdom for the best treatment. Please pray that I would be able to eat and sleep and hold my weight. The doctor emphasized this is very important. I just got off the phone with Dr. Lee and also the office manager at the clinic. Basically, Dr. H has looked at my films and his treatment recommendation is another round of chemo and another vaccine, in addition to the vaccine-type treatment, for which we had already planned and paid, for the January trip. Dr. H wants me to be there sooner rather than later to start. I told Dr. Lee and the office manager that if money were no object, I would be there and do whatever they recommended. I trust them that much, and we have the CT and lab results to prove that their treatments are working. The problem is, we can't make money appear out of nowhere. Dr. Lee said that my labs are looking wonderful, but they are not at a place where we can coast yet. She said there's a marker (I can't remember the name of it) that is supposed to be less than 4. Mine was 182 when I first got to CA and is now down to 71. She said "This is wonderful news, but still far from normal and we need to keep going." She said "You are an inspiration to me, Jen. We all care about you very much and we want to throw the kitchen sink at your cancer." In a perfect world, I had hoped that CHM would have approved the chemo and we could move forward knowing we would be reimbursed. But they've not been able to schedule the peer-to-peer discussion at this time. And CHM has been pretty negative regarding my treatment thus far, so I don't have high hopes they will pay. I do know that God can turn their hearts as He did Pharoah's, so there is hope in Him. Please be praying with us, friends. We are praying for wisdom. We are praying for God's provision. The new vaccine is $15K, and the IPT is $30K plus the cost of the chemo drugs (a new policy as it was included for the last three rounds). If you compare the cost of this to traditional chemo, it's far cheaper. However, with insurance not paying, the costs are huge for us. Thank you for your continued prayers. I hate asking you to do this, but would you please share our Go Fund Me page on social media with a note saying that you actually know us (so people know we're not just making this all up looking for money to spend on a trip to Hawaii). Dr. Lee also went over my most recent immune frame, which we had done about two weeks ago. She said that it looks like the dendritic vaccine is taking, though the memory cells are pretty low. She said to not be discouraged and that it's encouraging that they are showing up on the lab, which means it's taking. We have to repeat the immune frame in about a month, so please be praying that these memory cells would come up considerably. For some reason, you are only able to do the vaccine and one booster, so I'm at my limit for that. Thank you all again for your prayers and encouragement. Please pray I would trust the Lord in all of this and not be discouraged. I'm fighting it today. We just wanted to share a recent update from Jen. She has been in California for the past six weeks receiving two rounds of chemo, along with other recommended treatment. The doctors are very encouraged that Jen’s body is responding well to treatment, as evidenced by her lab tests, and the fact that she is looking and feeling so much better. Dr. Herzkowitz even said that she’s “turned a corner”. The doctors have recommended another round of chemo which will require Jen to stay in California for three more weeks. Due to the seriousness of her Stage IV cancer, they are also recommending two more vaccines. As you know, this specialized treatment is not covered under Jen’s Christian medical sharing plan. Please pray that the Lord would provide. These additional treatment recommendations are the reasons we have raised the goal for her GoFundMe account. Please pray for Jen and Matt and their kids. The Lord is blessing the treatment and we ask that He would continue to do so. Jen has been amazed at the level of care and expertise. Matt had to return home to work and be with the kids. Please continue to keep him in your prayers as he has so much to juggle at home. Jen’s friend, Charlotte, flew out to be with her for the past three weeks and plans to stay for the duration of her time in California. Please pray for her as well as she has sacrificed so much to help. Thank you for your prayers! We would so appreciate you sharing the GoFundMe on social media to spread the word. As treatment in California nears, so many things are swirling around in my mind. My “to-do” list is ever looming as I’m trying to make sure that our kids are cared for in our absence, but also that I’m not forgetting anything that we need to take with us. I’m a list person – and crossing items off the list brings a sense of relief that things are actually getting accomplished. Matt and I have been floored (and I’ve cried many tears) at the generosity of so many. Giving financially, sacrificing time in prayer, signing up to help take care of our kids, clean our home, arrange play dates with Caroline, and driving me around Jacksonville to run errands because driving hurts my shoulder, just names a few. In an effort to be transparent, I wanted to share some of the breakdown of the costs for treatment. Please know that we have put a lot of thought, prayer, and have sought counsel regarding our treatment options and Matt and I both believe strongly that California is the best option for me at this time. Dr. Ahvie takes advanced cases and people from all around the world go to him for a reason. Below is a list of therapies he is recommending for me out of the gate. He said that we need to “throw everything we can” at me to get the best results. Besides the list below, there will be other expenses related to treatment that we cannot break down at this time. Dr. Ahvie orders some “in-depth and sensitive laboratory testing” that my insurance will not cover. There will also be some other therapies that he is likely going to recommend in addition to the costs below, and my supplement protocol will be changing as we have had to repeat the RGCC testing at the lab in Greece. IPT Package (this is the low-dose chemo) The package includes some IV therapies that will make the chemo more effective. I need two rounds of this due to the size of the liver tumor. IST (Dendritic Vaccine) We have been told that Dr. Ahvie has a high percentage of success with his patients doing this vaccine. While it is humbling to put numbers to paper and explain this in more detail, we believe you should know where your money is going and how best to pray. Should The American Cancer Society not be able to negotiate a better rate for us, the costs for the remainder of our stay will be approximately $4K. We hope they will come through and as much money can go toward treatment as possible. Thank you for your emotional, spiritual, and financial support during this time. Please pray for me to have courage and God’s grace through treatment. Please also pray that I could gain some weight and be able to eat and sleep. As always, please pray for my dear family as they bear this trial that God has ordained for each of us. I fully believe that God hears our prayers and that Christ intercedes for us at the right hand of the Father. How kind of Him to do this for His children. He is granting grace to withstand the darkest trial of our lives. To Him, and Him alone, be the glory.